It’s never too early to get excited about the next big Specialty Equipment Manufacturers Association Show, and it’s already time for vendors to start making plans. 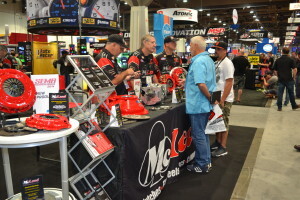 SEMA is taking applications for the Nov. 3-6, 2015, show, and anyone who submits one before April 6 can get dibs on a booth location at the Las Vegas Convention Center. Web browsers: Don’t try and apply on Google Chrome. You’ll get errors you won’t with other browsers. Cut it short: You only get 400 characters when describing your company. That’s not very much; SEMA estimates it’s 80 words or so. So do some tight editing when you describe how great your business is.